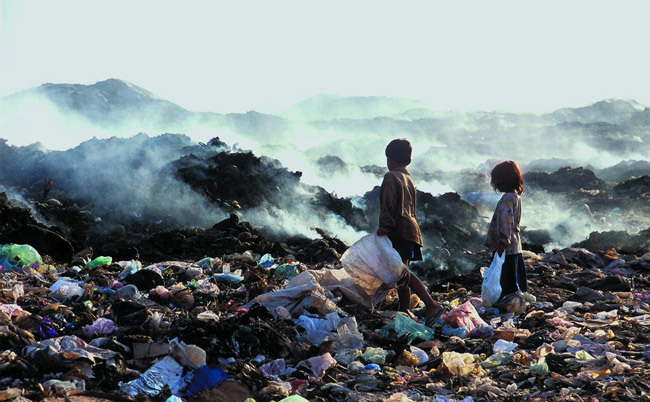 When referring to the third world, most people are quick to mention a povished war – stricken dystopia. Hundreds of years ago, they were ruled by imperial powers and are now at the mercy of a corrupt government. People inherit their ancestor’s decaying huts, continuing the cycle of cultivating the diseased land. Technology that exponentially speeds up the farming process is unavailable and people are required to work for days and nights in the field. But aside from the many cases of malaria, paucities of food, and examples of failing businesses, the third world still maintains certain advantages over the first country. Americans imperiously spout about how their country is the land of the free, although the prosperity of their lives depend on monetized civic duty, best known as taxes. It keeps the United States lively and most of its citizens mildly annoyed (in the case of Republicans, very discombobulated). Taxes in the third world, such as Tanzania, are very inefficient and people usually go about their chores without a care. However, even without fundings for public projects, people are able to accommodate with a antediluvian healthcare system, anachronistic roads, and lackluster policing. Ironically, this is the purest sense of freedom, where civilization intertwines with the wilderness and people live unregulated and dangerous. This leads to self – reliance. Children learn to gather fruits and farm vegetables, construct weapons and build houses, and hunt various animals. They are more content with walking barefoot on unpaved surfaces while sharing their homes with flies and mice. The adversity of transversing across humid jungles has acclimated the natives in coping with the many diseases that nature cultivates. Tourists who are so bothered by mosquito bites can’t fathom the resilience of the tattered – clothed natives. Materialism is also less of a concern. The thought of a nice car to impress or a golden pillar to embellish are all ludicrous notions for people who live in villages. For them, they simply need to sell enough corn to have something other than corn for dinner and of course, to live another day. The more audacious individuals, who are planning migration to the first world, are more stringent and appreciative to the value of money. Since the process of generating an income is more unstable than a minimum wage job in America, money isn’t callously spent, but treasured for an opportunity. Meanwhile in the first world, children by the age of five are more fixated on mobile devices and hooked on Happy Meals. Their position is otherwise lucky with their parent’s taxes enduring them a rather tranquil life, with the exception of petty high school politics that doesn’t compare to an African child having a guinea worm removed from his ankle. Life in the first world has made the mind and body at ease, but has also emasculated them. However, with corruption as a culture, the first world is ultimately rendered the model socioeconomic haven everyone wants to be a part of.